This iconic image was shot by Margaret Bourke-White. It became known as “The Living Dead of Buchenwald.” Like many others, I’ve seen it how many times reproduced in so many books? It was on view at a big Bourke-White show at Syracuse. I’ve never looked at it as a photograph, or looked too closely at the individual “figure,” the traumatic look revealed by each individual face. I never quite saw how the photograph was set up and posed as a group portrait. Dear friend-colleague-critic MK wants to know on what basis I call this a portrait. For instance, on what comparative basis? 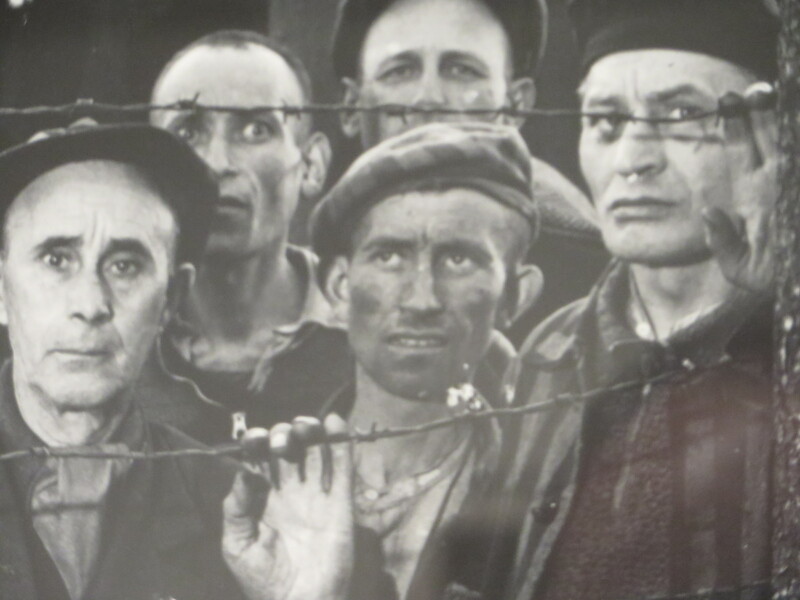 Given how many of the photos at the exhibition are portraits (even the technology shots are “portraits” of machines), it makes sense to look at this iconic image from Buchenwald in the same light, as a group portrait. 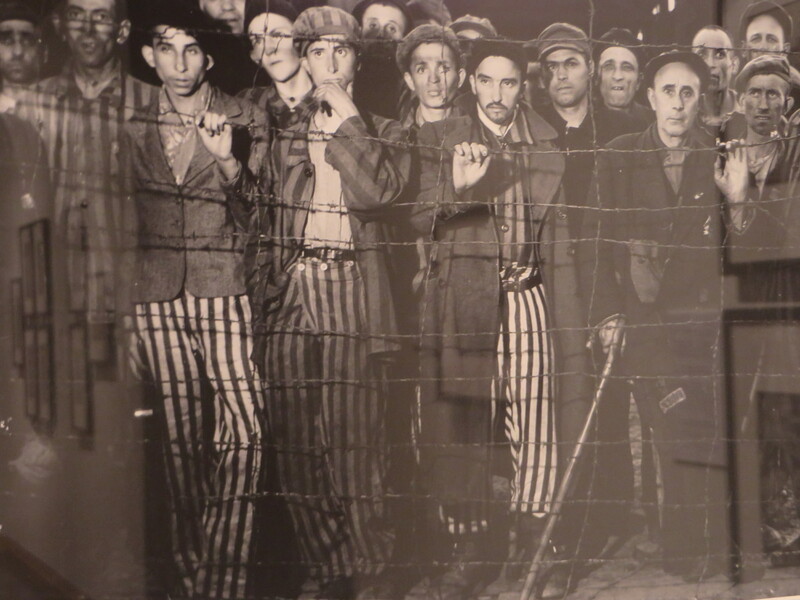 This entry was posted in uncategorized and tagged Bourke-White, Holocaust, Museums & Galleries, photography. Bookmark the permalink. 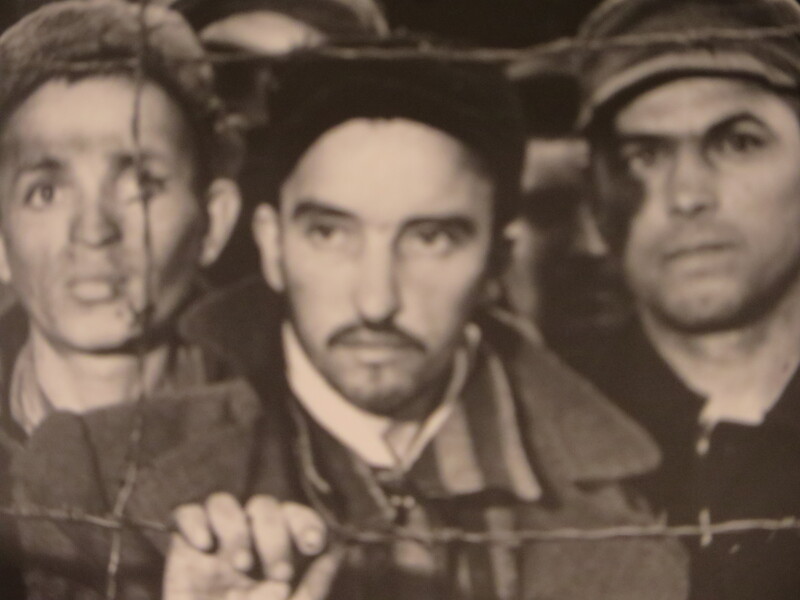 After reading Primo Levi, I can’t look at those pictures any other way, any more… Did you notice the scary guy with the one eye, in the second picture from the top? did you see Stalin’s mother? Isn’t this a conventional ‘group portrait’ that becomes more chilling in light of typical images in that genre? 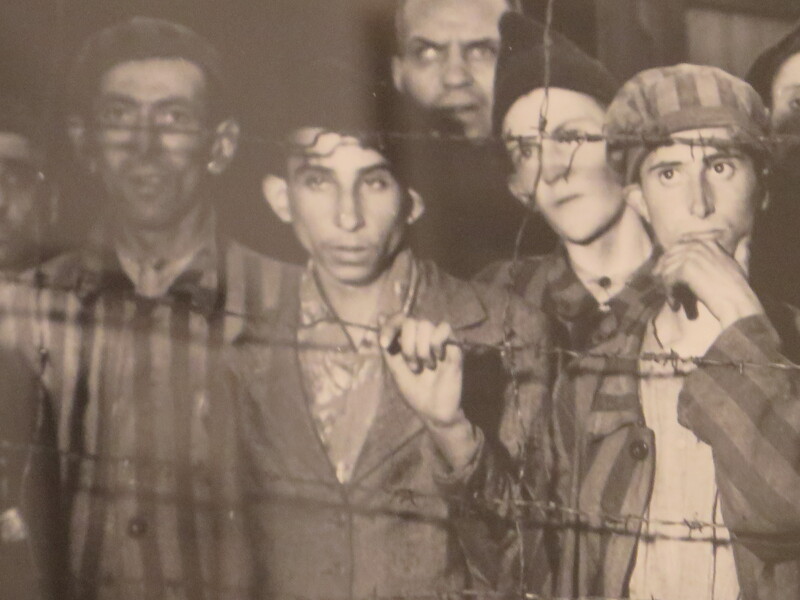 Interesting comparison to be made here with earlier images of figures pictured against the barbed wire, made by liberating Russian army at Auschwitz.